We flew from Phoenix to St. Louis is order to pick up our fur baby, Sam. He has been staying with Grandma for 5 weeks while we were attending our RV rallies out west. We missed our little guy so much. But there was something amiss when we arrived. Evidently while we were gone someone stole his eyebrows. That’s right. My mom took him to Petco for some grooming and while he was there someone swiped his curls and his eyebrows right from above his terrier nose. Sam before the incident, curls and eyebrows in tact. Dude, where are your eyebrows? Of course Petco is not quite sure what happened. But nothing could be done. The incident has already happened and Sam will have to endure the embarrassment of an expressionless head until they grow back. It’s nothing that a treat can’t help improve his mood, but he may need some therapy to regain his terrier mojo. Poor guy. While in St. Louis we tried to lighten Sam’s mood with a run, so we headed to Old St. Charles MO to jump on The Katy Trail. The Katy Trail is considered the most successful rails-to-trails projects in the US. A portion of the Missouri KT Railroad experienced a flood in 1986. Since the railroad was in decline and the cost to repair the tracks were excessive, the railroad disbanded and ceased to exist. In 1989 it was decided to convert the old railroad tracks to a trail system and the first segment of the Katy Trail was officially opened in 1990. It is considered the nations longest rails-to-trails system that spans 237 miles from Machens, MO to Clinton, MO. This was our first time running on The Katy Trail, and after experiencing a small section we are determined to add biking this trail to our bucket list. There are companies that can help make this happen by hauling your gear from stop to stop over the course of 5 days and make your overnight accommodations for you. Or you can ride or hike the trail unsupported. Obviously we would like to use the RV for our stop overs, but that requires finding someone who is comfortable pull/parking a camper and can take the time off to do so. All logistics that can be worked out in due time I suppose. 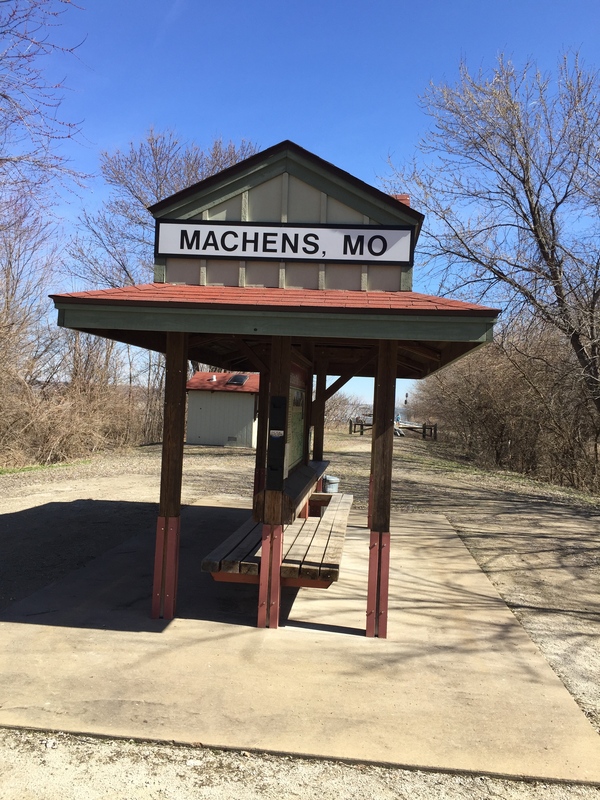 The Eastern most terminus, Machens MO. Sam and I ran/walked an out and back for 6 miles while Jeff ran the entire 12 mile section from St. Charles to Machens. I then drove to pick up Jeff at the trailhead. It was certainly a beautiful day with temps in the low 70s. Shades-on-sunroof-open kind of day. The frogs were croaking and the birds where in full song. 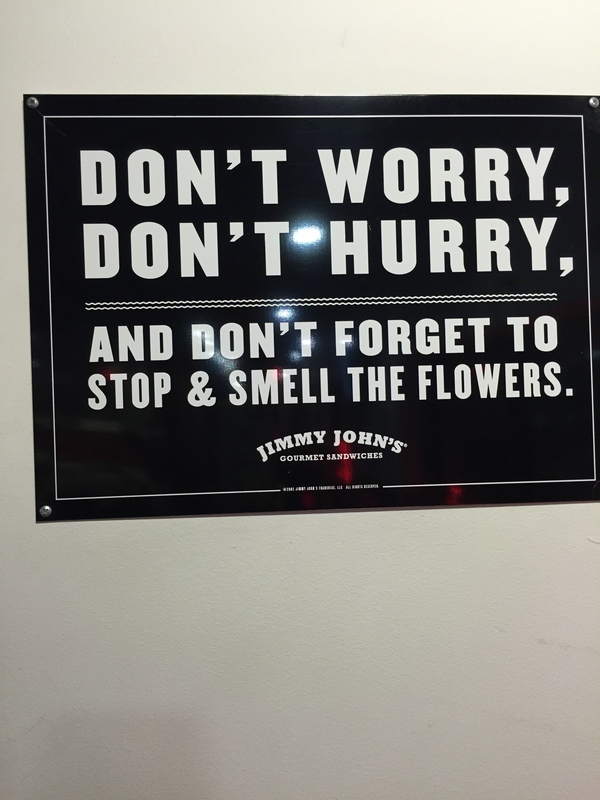 Sure signs of spring on the horizon (hopefully). After being in the dry desert for so long it is definitely a world of change coming back to moist air (code for humidity) and dark brown soil. The contrast is striking. It’s a contrast that I am at odds with. I miss the dry air, amazing sunsets and abundance sunshine of the Southwest. But there is something comforting about the familiarity of the Midwest. It will be nice to be home to experience spring, but my mind is still out on the road. We had a nice dinner with my Mom and my Grandmom. I have my big 5-0 birthday coming up and it still astounds me that I have a Grandmother still alive. She will be 98 this July. She was living alone, driving and mowing her 1.5 acres until 92 when she finally moved in with my Mom. We got her situated in her own apartment about a year ago at an assisted living facility where she is safe and well cared for. No more going down a flight of stairs to the basement to do laundry when no one is home. Her short-term memory is a challenge now, but she is always willing to talk about the old days. Grandma at 98 this year! Jeff put on some Big Band music and asked her to dance. She loves listening to music and it brought back memories of her and my Grandpa going out dancing every Saturday night while my Mom and her brother were free to play with the other kids outside the VFW hall. It was a sweet visit and we never know if this will be our last with Grandma. She hopes she gets to see us again and we do too. She is a feisty gall who loves sweets and ribs…and a few beers in her day. Now her favorite drink is a chocolate shake. Jeff asked her what she attributes her long life to. “Hard work and eating anything she wants”. That sums it up folks…eat more ice-cream! We will be driving back to Arkansas soon, memories and eyebrow-less dog in tow. 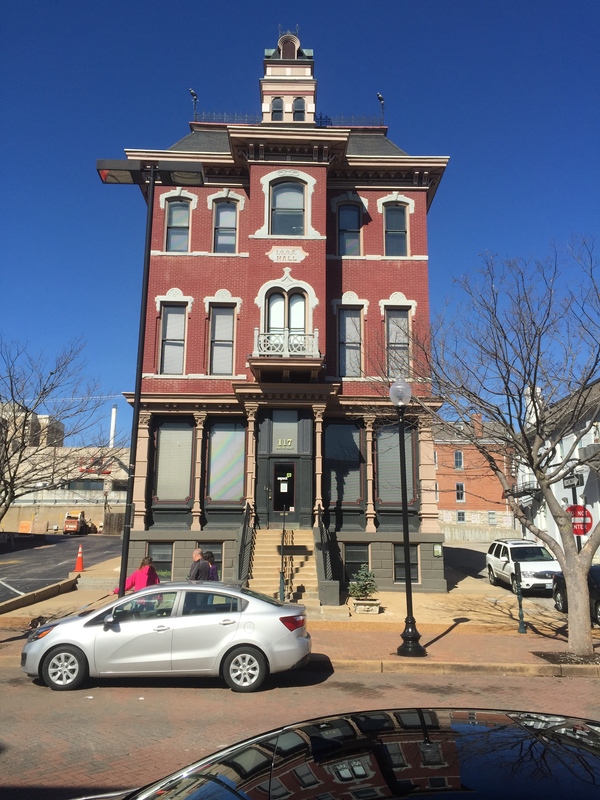 This entry was posted on March 20, 2015, 1:56 pm and is filed under Biking, Hiking, Missouri. You can follow any responses to this entry through RSS 2.0. You can leave a response, or trackback from your own site.